Your driveway gate isn't the only large mechanical entry system that's liable to malfunction. Your garage door is just as likely to develop problems after continued use, especially the older it gets, and if it isn't maintained properly. There's a simple way to ensure you get help from the best repair specialist near you. What is it? Why calling Gate Repair Long Beach of course! Leave us all your problems and sit back and watch how they're quickly solved. One of the more annoying things that can happen to a garage door is for one of its springs to break. Besides being a major inconvenience, this type of problem is also downright dangerous. Messing with these units can lead to serious harm befalling you or anyone standing nearby. 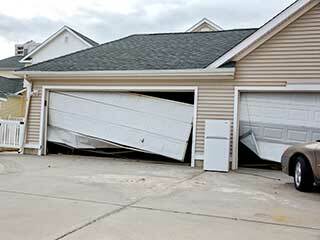 To avoid this, let professionals handle all your garage door spring repair related needs, including tension adjustment. No need to take needless risks when you have experts near you ready to provide all the assistance you need. Your garage door uses an opener just like your driveway gate in order to be able to operate automatically. Naturally, this device can experience its fair share of troubles, from worn gears and frayed electrical wires to problems that will merit replacing the entire circuit board. Whatever the cause and whatever the required repairs, rest assured that Gate Repair Long Beach can take care of it for you. You won't find cheap replacements here. Only top quality replacement parts and products made by industry leaders like Genie, Chamberlain, and Sears. No need to search far and wide for local technicians to help you when something goes wrong with your automatic door. Gate Repair Long Beach is the nearby service provider you can count on to get to you quickly and provide the quality results you want for low and affordable prices. Use our online system to book an appointment today, or give us a call on our service hotline.